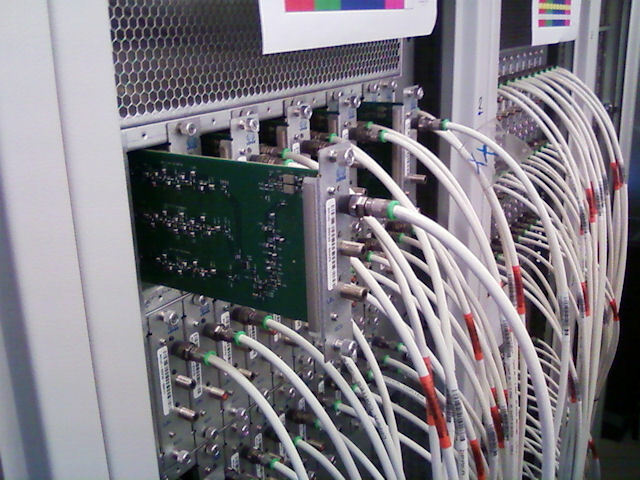 The receiver unit (RCU) boards are the first part in the signal processing chain as the signals come into the RF-container. 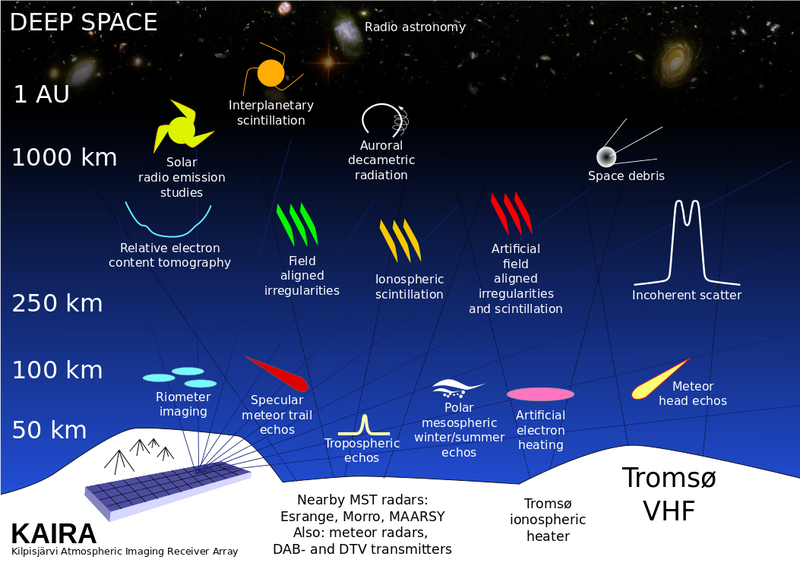 There are 96 of these in total in the KAIRA system (which is the equivalent of a Dutch Remote Station). There is one RCU per polarisation per antenna. Each RCU has three input channels. These are the high-band antennas (HBA), low-band-high (LBH) and low-band-low (LBL). 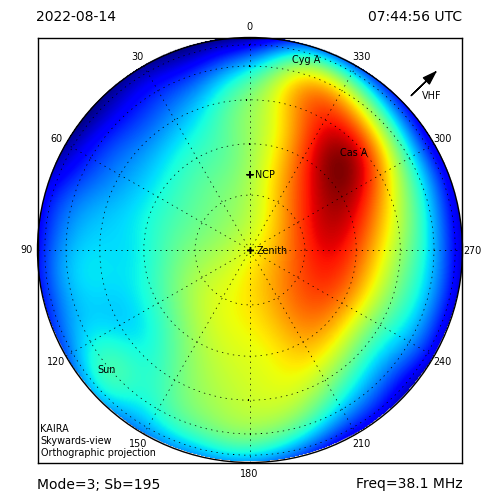 On KAIRA, and other international LOFAR stations, only the HBA and LBH channels are used. These have the signals from the HBA and LBA arrays respectively. The third channel is for even lower frequency antennas (such as 10-30 MHz). At this stage, these antennas have not been realised, although there is some prototype work on this being carried out at the French LOFAR station (FR606, Nançay). On Dutch stations, the second part of the LBA arrays utilise this third channel. What this means, is that it is not possible to use the HBA and LBA simultaneously on a given channel. While it is possible to mix and match between the different channel, each individual one is limited to a single input. On these RCU boards are mostly switches and filters, but this then goes in to the sampler. This is a 12-bit analogue to digital converter, sampling at 160 or 200 megasamples per second (depending on the configuration). Once the signal has been digitised, down-converted and filtered the processing chain is common.